This article was contributed by Dr. Joel Fuhrman. Dr. Fuhrman is a best-selling author, nutritional researcher and board certified family physician specializing in nutritional medicine. 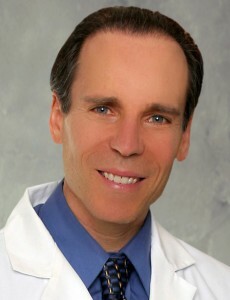 Learn more by visiting his website at DrFuhrman.com and his blog at Diseaseproof.com, and following Dr. Fuhrman on Facebook and Twitter. Childhood obesity rates have skyrocketed over the past 40 years. Between the late 1970’s and 2008, obesity rates doubled in preschoolers and more than tripled in 6-11 year olds and adolescents. According to the CDC, 17% of American children are currently obese – not surprising when you consider that vegetables consist of less than 2% of children’s diets. Although children do get less exercise than in past generations, diet is the biggest contributor to childhood obesity. When children carry excess weight, it threatens their future health. Approximately 3,600 American children are diagnosed with type 2 diabetes each year, and are in danger of future complications from the disease. Seventy percent of obese children have at least one cardiovascular disease risk factor and 39% have two or more risk factors. A study that followed American children for 24 years found that childhood obesity was greatest risk factor for premature death due to chronic disease. Plus, childhood diets have a strong influence on adult cancers­­­ – children’s growing cells are formed by the foods that they eat. 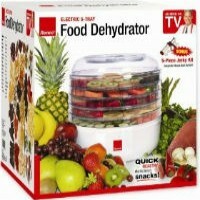 Keep healthy food in the house. Every person in the household should have the same food choices available. Discuss food choices and make collective dietary goals as a family. Involve children with food preparation. Once a week, discuss a health topic as a family. Don’t reward good behavior with junk food. Plan fun family activities that involve exercise. Pack healthy lunches for your children that include fresh and dried fruits, nuts, and raw vegetables. Offer and feed a wholesome diversity of natural foods so that each child as much freedom as possible to eat what they prefer. Don’t attempt to manage your children’s caloric intake. They can do that on their own. When parents live a healthful lifestyle, their children follow. More information on feeding children healthfully can be found in my book Disease Proof Your Child. Arch Dis Child. 2010 Jun 23. [Epub ahead of print]. Am Heart J. 2010 Dec;160(6):1185-9. Adolesc Med State Art Rev. 2010 Apr;21(1):103-19, x.
 N Engl J Med. 2010 Feb 11;362(6):485-93. J Epidemiol Community Health. 2003 Mar;57(3):218-25. Cancer Causes Control. 2004 Feb;15(1):73-82.